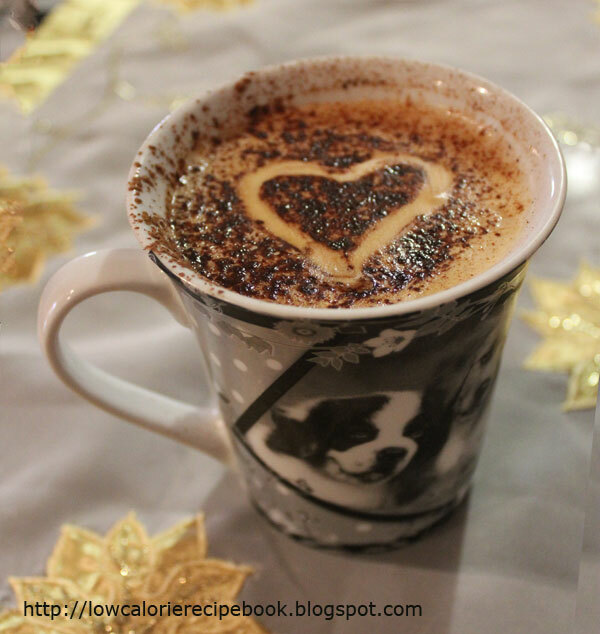 Low Calorie Recipe Book: Healthier Coffee Chocolate - neg calories! Healthier Coffee Chocolate - neg calories! My husband converted me from instant coffee to ‘real’ coffee when we first began dating ( a good time to convert anyone). “Do you know what is in that stuff!” he exclaimed in horror after I requested a certain well-known brand. His eyes opened even wider when I extended my hand offering the sugar substitute I once carried in my handbag. To my credit, I was the one drinking mineral water and lemon juice and not litres of *cough* Pepsi Max every day. My husband loved his intestine torture beverage, but no more, once he tried mineral water and lemon juice he never looked back - yep; a good time to convert someone. Today, I don’t have sugar or sugar substitutes in my coffee; I drink the ‘Real” coffee, but love the chocolate dusted topping. This is my naughty indulgence and I have yet to substitute it – until today! Some things have to be enjoyed but we can still substitute for healthier versions. Yesterday I wandered into the supermarket to pick up some drinking chocolate (which we use for our topping) and read the long list ingredients. Noting the list of fillings and that the main ingredient was sugar, I decided to make my own, healthier, low-calorie version. Here is the recipe but alter it to your taste. You may want a different balance of Natvia and cocoa. Play around with the ratio until it suits you taste. Mix well in a bowl ensuring there are no lumps in the cocoa. Fill shaker and store extra in air tight container. Give ingredients a shake or stir before refilling shaker to ensure Natvia doesn't settle to the bottom.